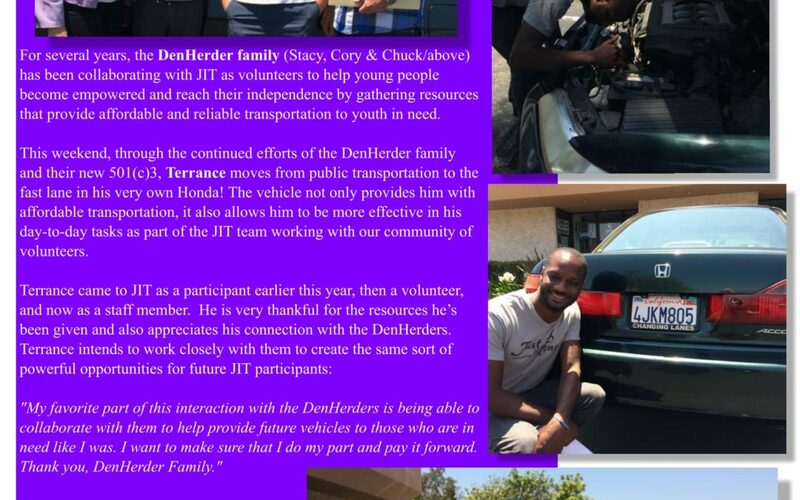 Today marks the beginning of JIT’s new fiscal year with exciting new opportunities and challenges as our community re-commits to providing the resources and relationships that help the youth we serve become more confident, capable and connected to transform their lives for the long term. 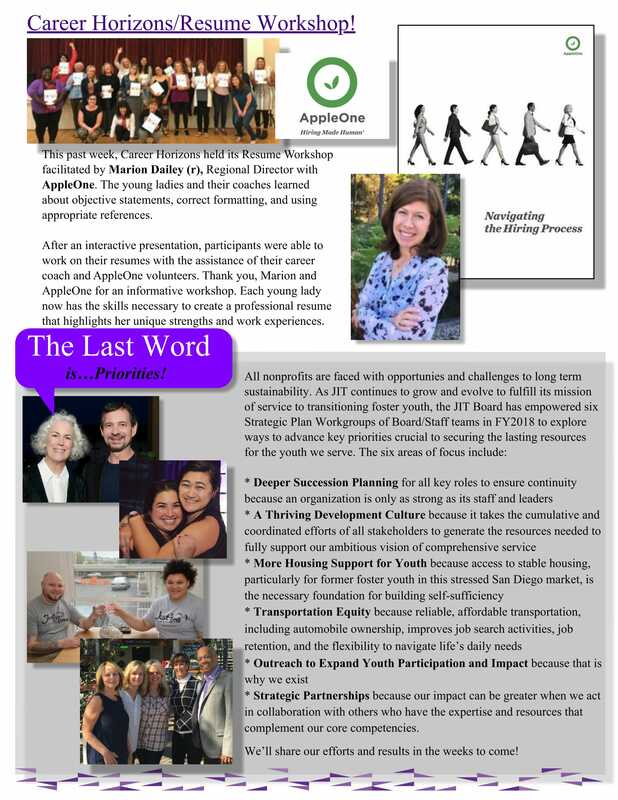 In this Monday Memo, we share our six strategic priorities for FY2018, focus on the story of one family of volunteers empowering youth with transportation assistance, showcase the latest Career Horizons capacity building workshop, and introduce you to the exceptional new members of the JIT Board, including two former JIT participants who join our leadership team on the Board level. 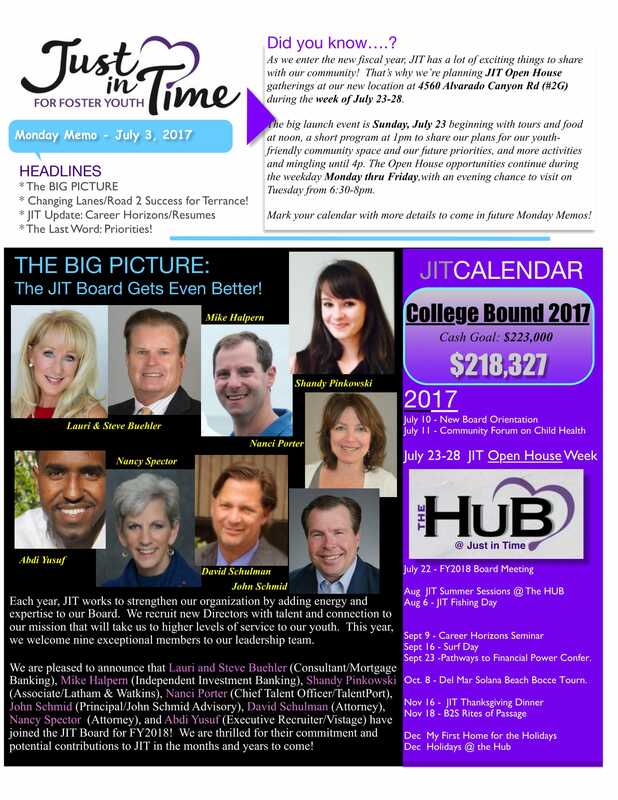 We’re also connecting you to information on our upcoming Open House Week at JIT’s new location on 4560 Alvarado Road. We’re inviting our community of youth, volunteers, investors and potential supporters to drop by beginning Sunday, July 23 from noon – 4PM, with more opportunities to stop in throughout the week, including the evening of Tuesday, July 25. This next year is shaping up as a powerful new chapter for Just in Time, made possible by the inspired energy and extraordinary generosity of each and every one who makes up our extended family.